For the first major Social Studies project in fifth grade, students chose an explorer from the late 1400's-early 1500's to research. Students spent about a month researching their explorer both in school and at home, in order to write a 1-2 page report detailing their early life, major accomplishments, struggles and challenges, and whatsomeone could learn from their explorer. Now the fun part! 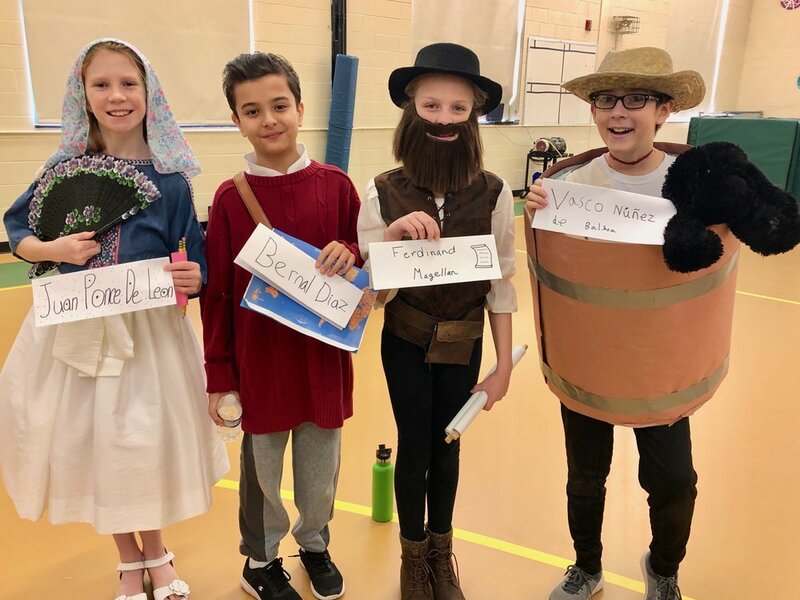 In addition to conducting and writing a research paper, students got to dress up as their explorer, or a related person/thing, and become a “wax figure.” The wax figure could only “come to life” and shareinformation about themselves when a light was shown on their body. Classmates, other grades, and parents walked through the fifth gradeWax Museum and learned about all the explorers 5th graders studied. Students were given a script to fill in with their explorer’s information. They practiced and memorized the script and were prepared to say thelines when a light was shined on them during the Wax Museum. Visitors thoroughly enjoyed the student's wonderful costumes and information they learned and shared!